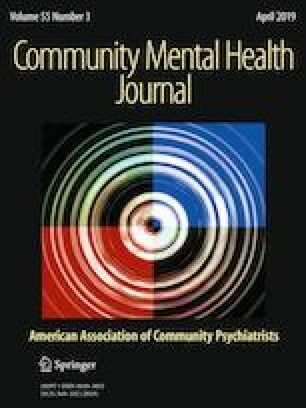 This exploratory paper presents a case study where a community based mental health organization forging a partnership with a local hospital system to establish a crisis stabilization unit (CSU) to address behavioral health emergency care. The study takes a mixed methods case study approach to address two research questions; (a) did this approach reduce the overall length of stay in the hospital emergency departments? (b) What challenges did the taskforce face in implementing this CSU model? The paper shares recommendation from the findings. There is no conflict of interest in the content presented in this study. This study has been approved by the Institutional Review Board of the Southern Illinois University Carbondale. The institution has assurance on the file with the USDHHS office of Human Research Protection. The Assurance number is 00005334. The protocol number is 14359. As per the IRB requirement an informed consent has been obtained from the organization and participant subjects of the program. American Telemedicine Association. (2012). What is Telemedicine? Accessed February 12, 2015 from http://www.americantelemed.org/about-telemedicine/what-is-telemedicine#.VOzdnvnF91A. Manton, A. (2013). Care of the psychiatric patient in the emergency department. Accessed February, 25, 2015 from https://www.ena.org/practice-research/research/Documents/WhitePaperCareofPsych.pdf. Oh, J. (2012). Average cost per inpatient day across 50 states in 2010. Retrieved February 25, 2015 from http://www.beckershospitalreview.com/lists/average-cost-per-inpatient-day-across-50-states-in-2010.html. Oss, M. (2014). You have to take something out, to put something in. Retrieved February, 25, 2015 from https://www.openminds.com/market-intelligence/executive-briefings/take-something-put-something.htm/.